Theme Park Connection is a Disney memorabilia reseller, the major retail location for secondhand and one of a kind items in the Orlando area. Over the years several stores have filled this niche, but Connection has dominated the market for a while. Selling and buying items through eBay, online, and their physical location, they have amassed an eclectic collection of items. 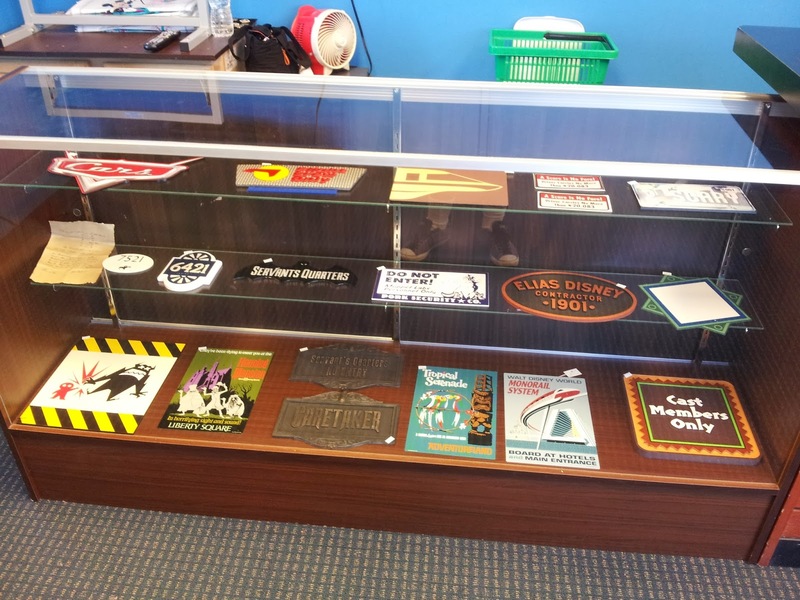 If you're looking for anything Disney, from old toys and collectibles to maps and ephemera to actual pieces of the theme parks, then Theme Park Connection is the place to look. 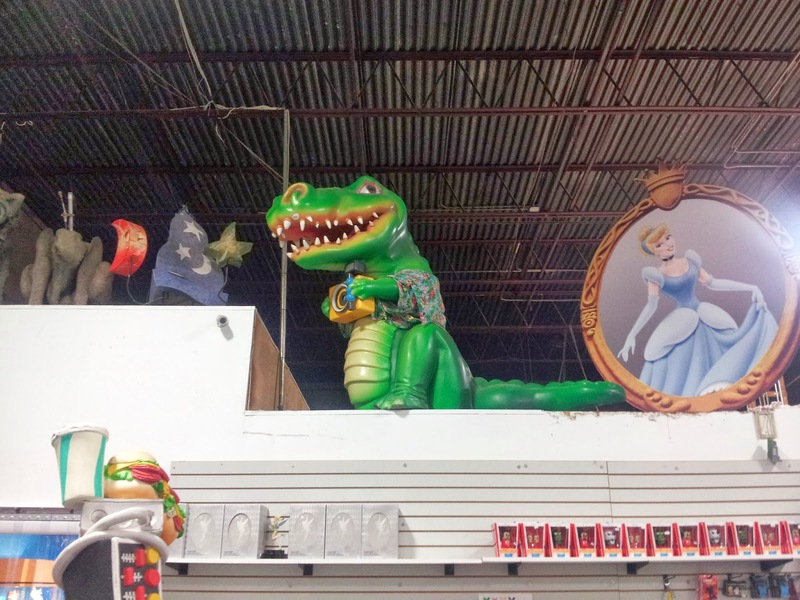 The most unique items are the disused pieces of Disney itself, but many of those items can be quite impressive in size and scope. 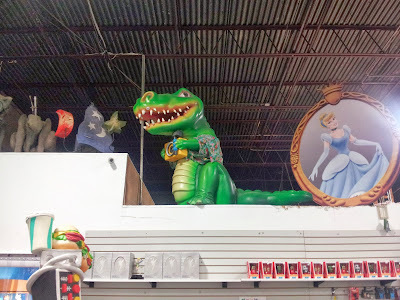 At their former location, Theme Park Connection seemed to be bulging at the seams. Rooms shrank to make room for more behind the scenes storage as inventory only increased. A typical visit to the store included at least a few moments of delicately side-stepping some iconic prop from the theme parks of old. The other issue was a difficult to reach location. 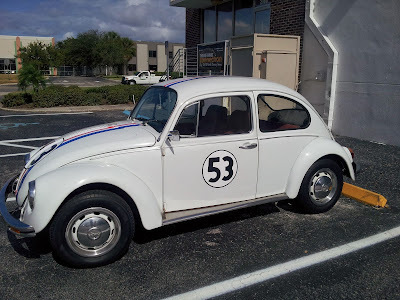 While it wasn't an intolerable drive, the store was situated on the far north end of Orlando. Even from the Disney property, it was nearly an hour journey, unless you utilized the toll road. A trip to Theme Park Connection was more of a planned destination, rather than somewhere to stop on a regular basis. Addressing these issues, Theme Park Connection moved to a new location last month. 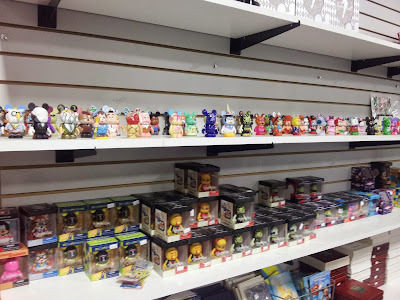 Located a few minutes off International Drive and a short trip from the Florida Mall, which has the only standard Disney Store in Orlando, it could only be in a better spot if it managed to sneak onto Disney World property. The new location is also massive compared to the old, taking over a warehouse that could easily fit the former store inside. The new store opened just a few days ago, and signage is still minimal. Arriving through a warehouse district, identical buildings mark the way. A banner marks the location of the Connection, but there are other indicators that you've arrived at the correct place. The first is the giant truck advertising all the major publications that have covered the retailer. The other is Herbie the Love Bug, sitting in a parking space out front. Inside, the front room is a more compact version of the old store's entrance. A large display case marks the register and check out, with additional cases filled with delicate and smaller expensive items, like theme park plaques. 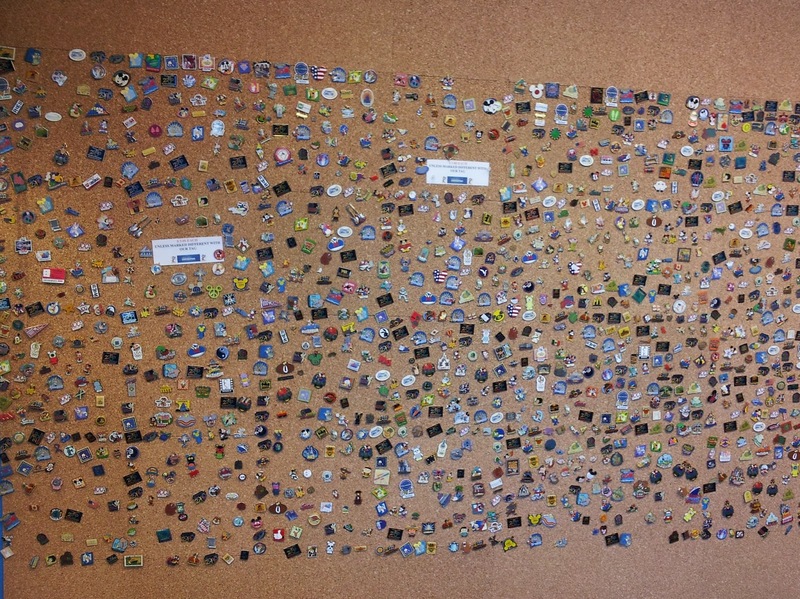 Also here is the famous pin board, a wall filled with Disney collectible pins, all retailing for $3.00. 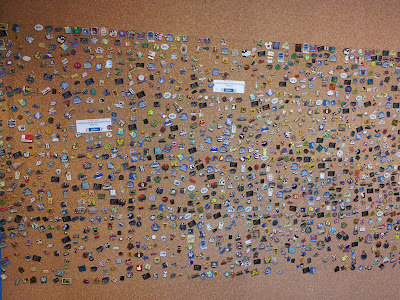 Pin traders purchase these pins for their personal collections, and to make trading in the parks a more affordable venture. One doorway leads to new offices, the restrooms, and memorabilia buying room. The other doorway leads to another small room with display cases, which is the entryway to the main warehouse. Here is the heart of Theme Park Connection, where the experience starts to feel a little surreal. 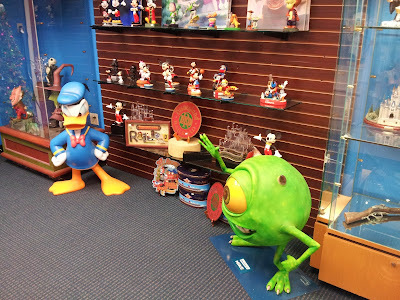 At any moment, you can walk by a unique piece of Disney. While viewing miniatures and figurines, you stand next to statues of Donald Duck and Mike from Monsters, Inc. The main floor is littered with pieces of parade floats, giant decorative theming, and even trash cans still emblazoned with retired logos. 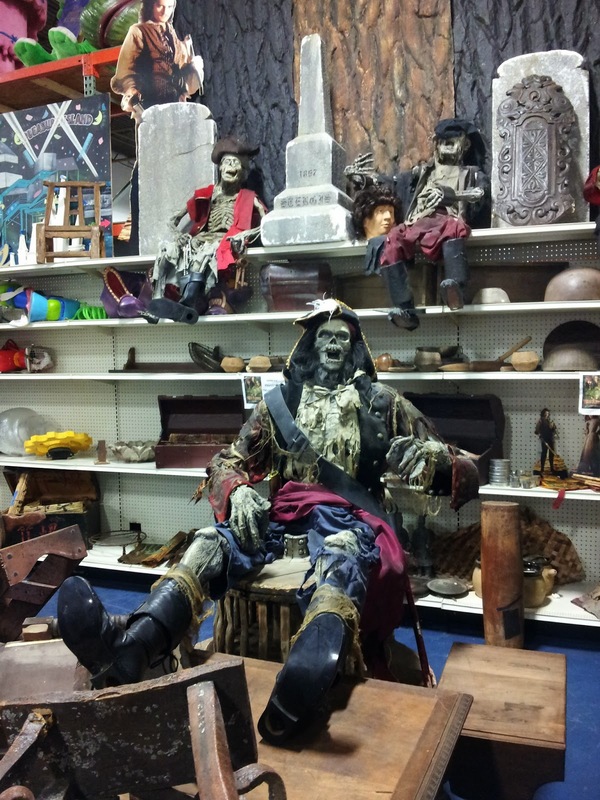 Pirate skeletons watch over tombstones and props from the Pirates of the Caribbean movies. 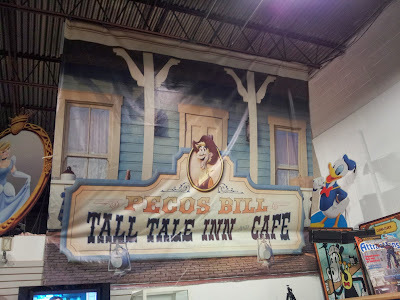 There's even a giant scrim, the painted sheet that covers restoration and construction work on buildings, that once covered the Pecos Bill restaurant in Magic Kingdom. 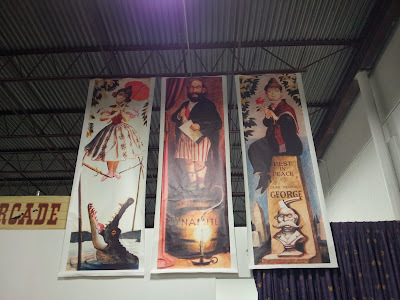 Haunted Mansion fans will thrill when they see life size recreations of the famous stretching room portraits, and then wonder how they will possibly fit them into their home. 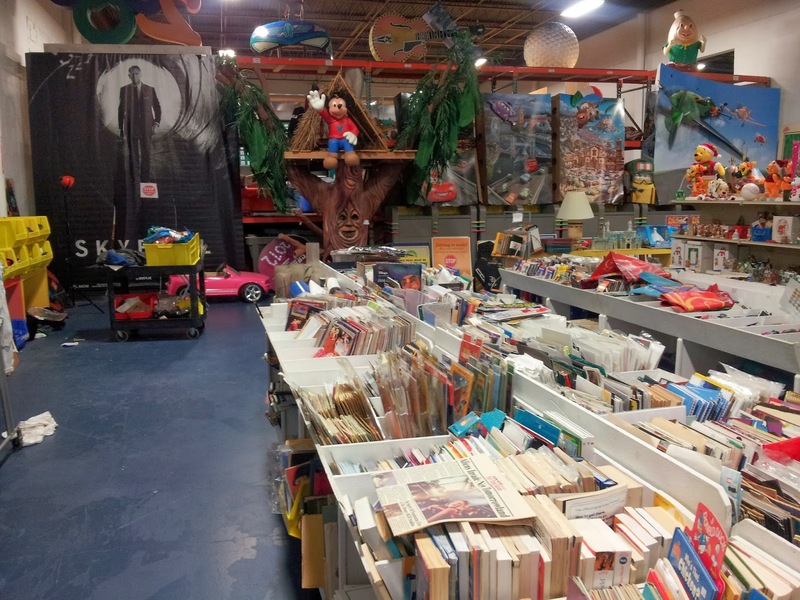 Those interested in books, periodicals, or old Disney publications will find racks filled to the brim, overlooked by Mickey perched in a once-animated treehouse. 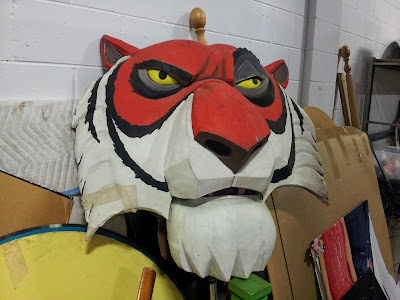 If anyone is thinking of pocketing an item, the giant face of Shere Khan watches closely from the side. There's even extra room for the Vinylmation fans, though the best quality figures are still reserved for eBay auctions. Still, a few gems are still available in the store, like an exclusive vinyl only sold in Paris. Overall, a trip to Theme Park Connection is a thrill for Disney fans, and a potentially fatal hit to the wallet. It's also something of a demystifying experience. 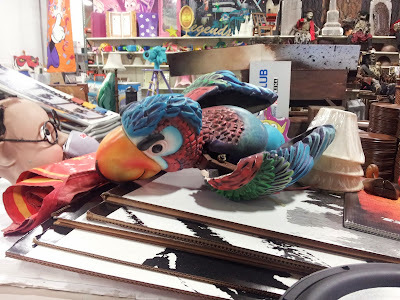 Disney takes great care in preserving its image and theming, keeping much of it off-limits or out of reach. At the Connection, all of these items are equal, except in price. Old buttons and maps sit next to parts of the rides themselves, and everything is for sale. 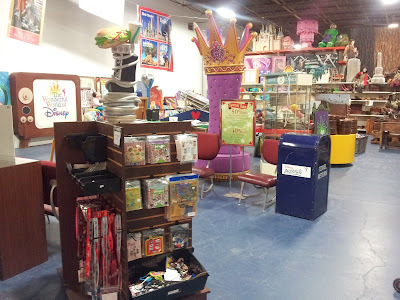 Theme Park Connection is open 10am to 5pm Monday through Friday, 10am to 2pm Saturday, and closed on Sunday. 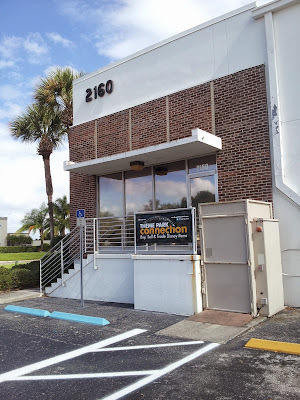 It can be located at 2160 Premier Row, Orlando, FL 32809. 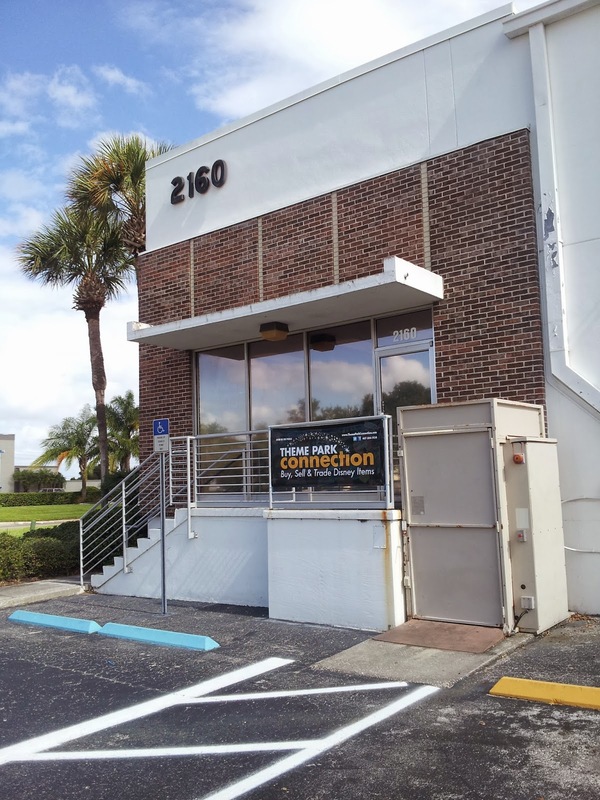 Hours may still be variable due to the move, so call 407-284-1934 ahead of time or follow them on twitter for updates.